The Acronym Institute, in partnership with ICAN UK, will soon be engaging communities along the nuclear warhead convoy routes throughout the UK. 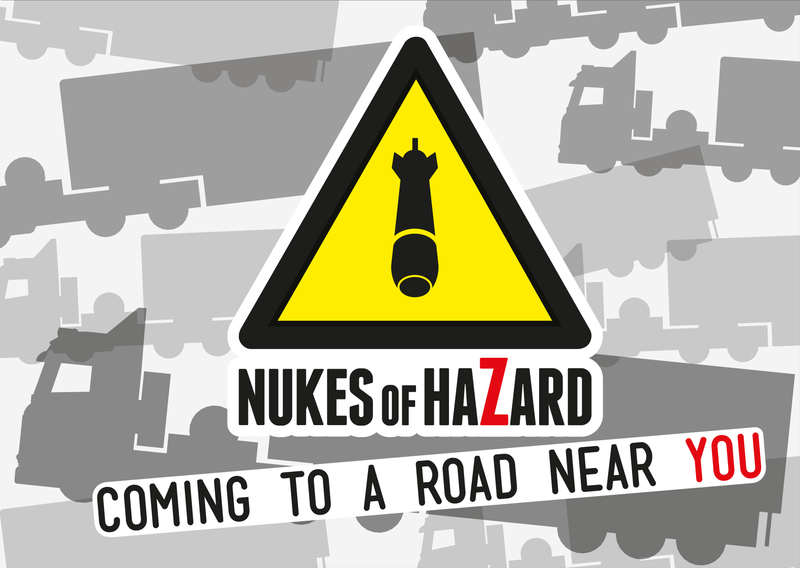 Watch this space to find out how you can get involved in the Nukes of Hazard campaign. In the meantime, follow Acronym and ICAN UK on twitter to get updates on all the latest developments. Nukewatch do some really fantastic work monitoring and tracking the warheads in transport. Visit their website to see how you can contribute to their work. Also in the UK, you can become a member of CND and get involved in a local CND group. In February 2016, diplomatic talks began at the United Nations in Geneva. Their aim is to develop a new legal instrument to achieve a nuclear-weapon-free world. The diplomatic process will continue in May and August. So far, the UK has boycotted the talks. Follow ICAN to see how you can help change this.